I had the Facebook and Instagram apps installed on my iPhone (latest iOS). I deleted both apps and checked that there was no data from either app stored on iCloud (I went to Settings - iCloud - Manage storage and there was no mention of them storing anything on iCloud). 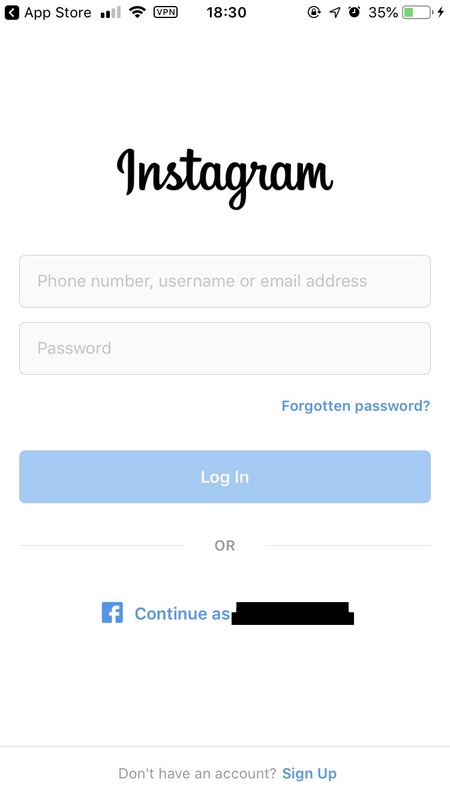 Then I reinstalled Instagram, opened it, clicked on Login and the page still showed “Login as MYFACEBOOKNAME”. How is this possible? How can I delete my FB login info once and for all on my iPhone? iOS apps can retain data after uninstalling if they store data in the keychain, which you can never clear unless you reset the device. Some apps can also get unique information about your device and associate it with your device to store the data on their servers. Not the answer you're looking for? Browse other questions tagged login privacy instagram .